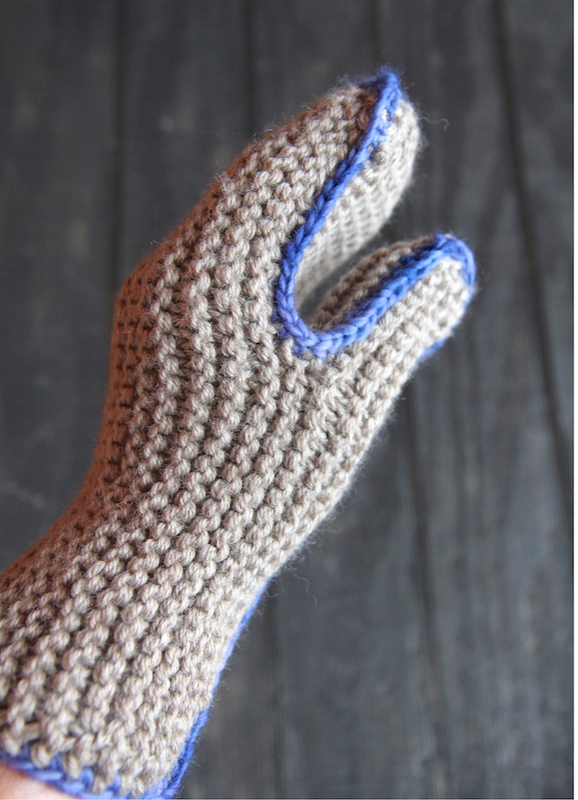 This has to be the craziest pattern for mittens I’ve ever seen – and the easiest. 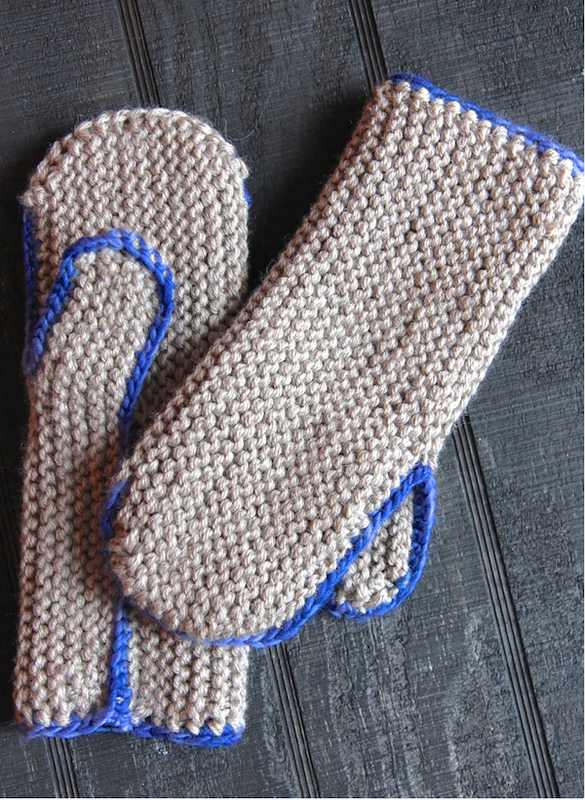 Mittens are almost always knitted in the round, on circular needles or DPNs, but these are knitted flat – and not a mirror image flat, like you would think and then just folded together. When I first saw these, I couldn’t figure out how they were seamed up, so when I knitted them I took photos to show you how to fold them. 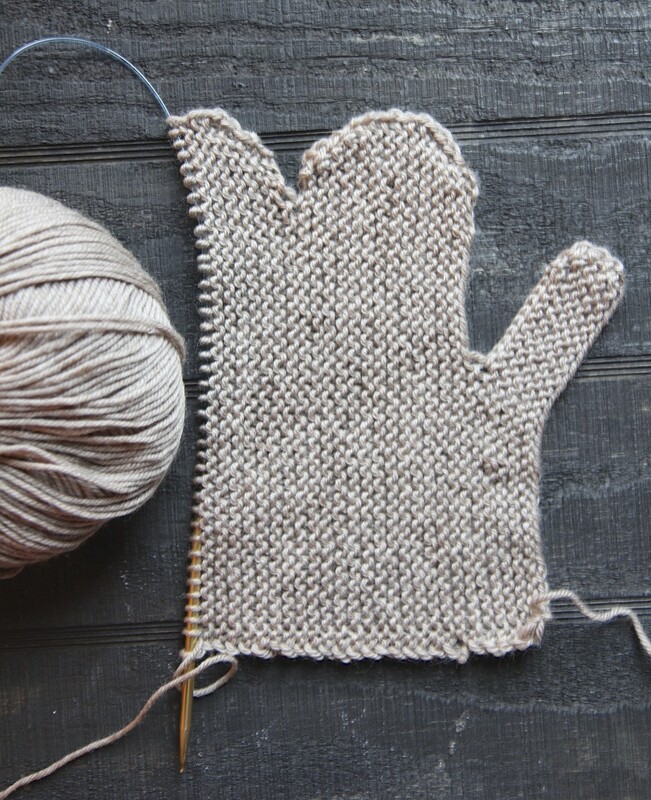 The pattern calls for these mittens to be knitted with worsted weight yarn. 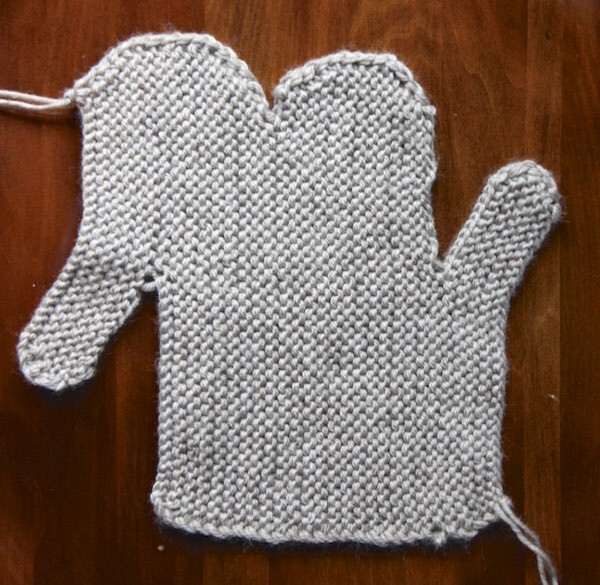 When I did a mitten the first time, they were way too thin and way too small. 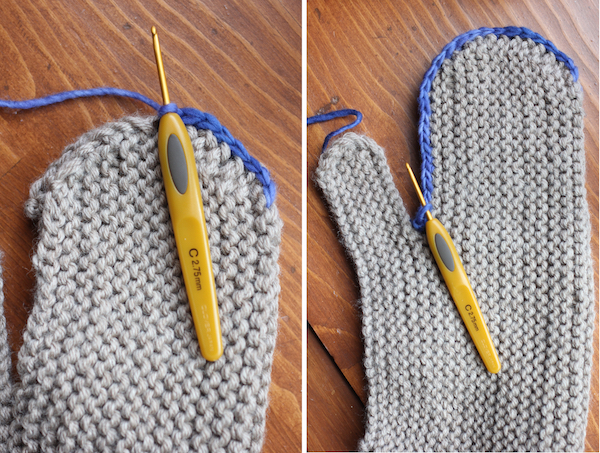 So I experimented and knitted another mitten with the same worsted weight yarn, only held double and they were perfect! As I was knitting the piece, it looked huge, but after it was seamed together, it was just right. 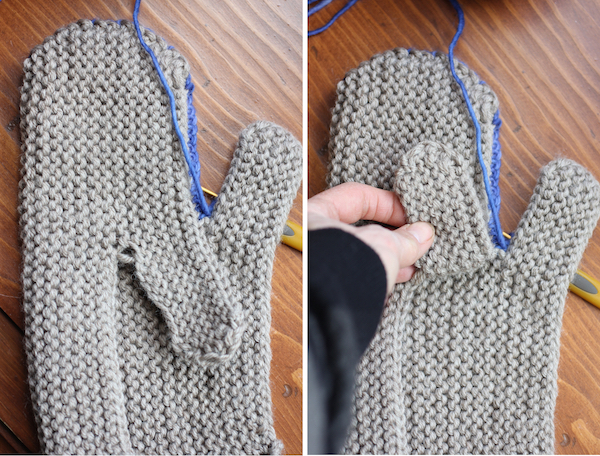 It makes a double thick, warm mitten this way and the cuff comes up a full 3.5 inches on my wrist. They’re a nice size. 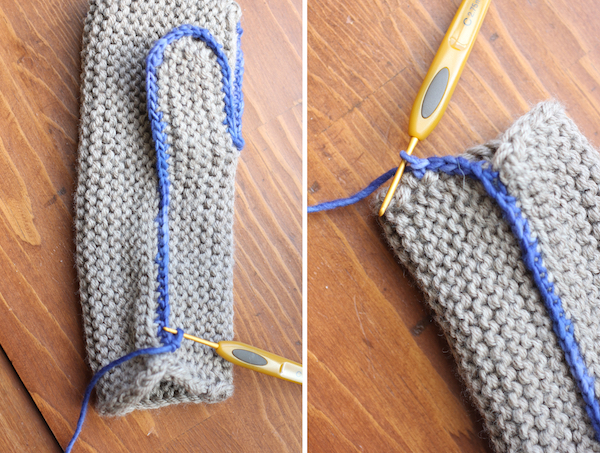 crochet down the thumb, the lower side seam and then just continue right around the cuff. 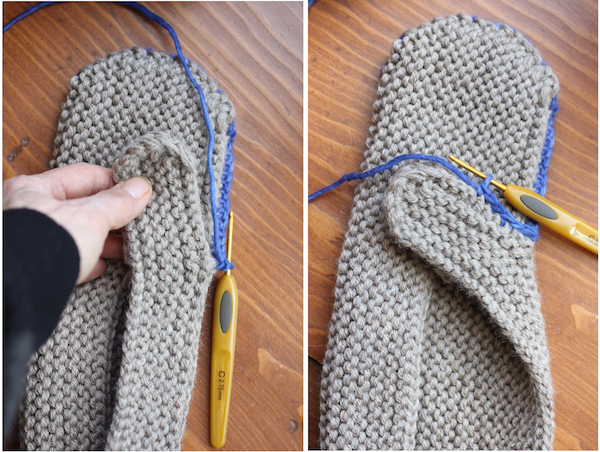 I hope these photos help you if you want to knit these. 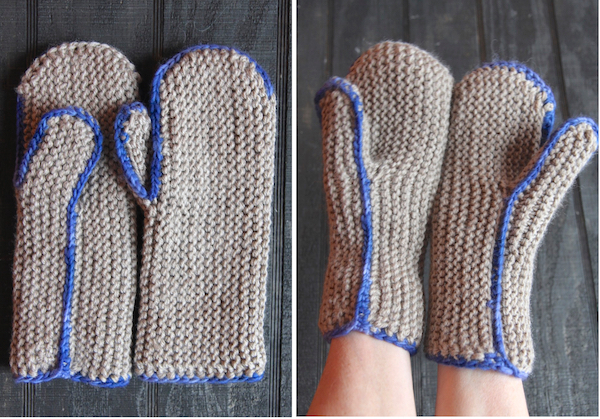 These mittens knit up incredibly fast! I loved this pattern. You are currently browsing the Italian Dish Knits blog archives for January, 2015.